Disney Tinkerbell tattoos bring even more fun to the Disney Fairies themed birthday party! 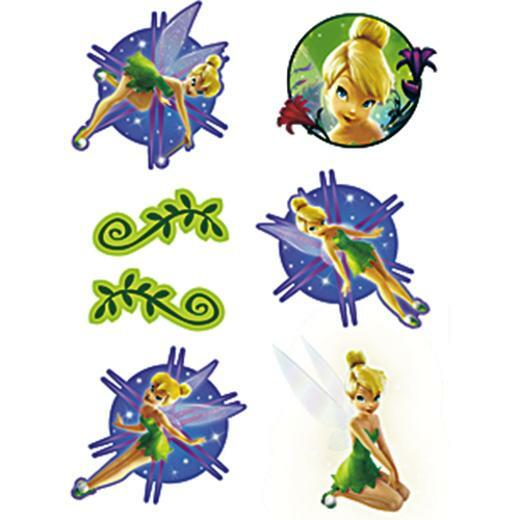 Each package contains 4 pages of 6 Disney Tinkerbell temporary tattoos. Each favor includes three temporary Tinkerbell tattoos. L: 5.5 in. W: 4.0 in. H: 0.1 in.